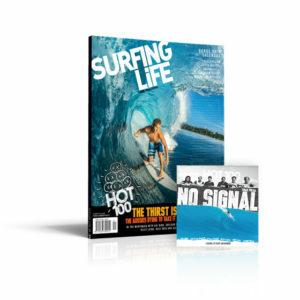 Surfing Life’s WAVES edition is about firing up the stoke, getting you out there and into the best waves possible. 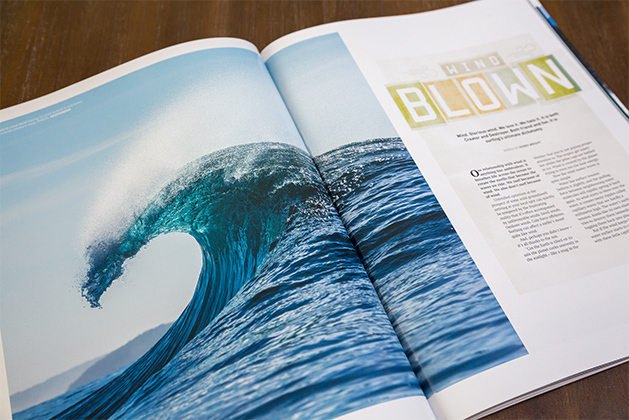 We’ll teach you how to forecast them and show you how to get more waves at your local peak. 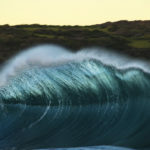 Whether that’s a reef, beachie, point or bombie! So come and marinate your mind with our endless imagery and then soak your eyes in our words as we put you in the right spot at the right time to get what we are all after… WAVES! 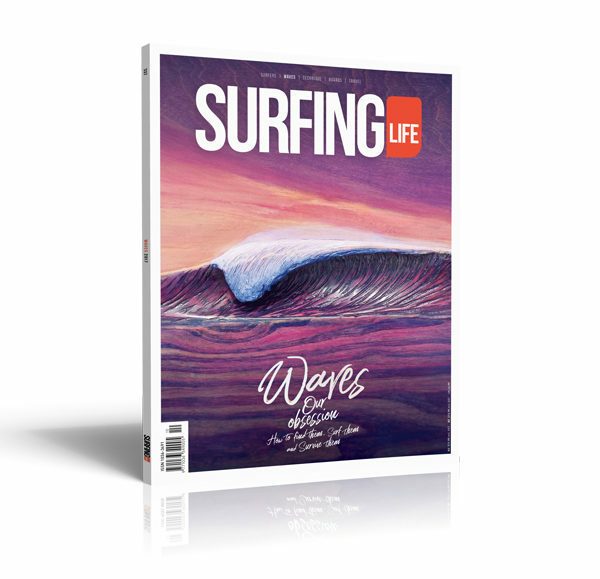 WAVES are the blood which beats through a surfer’s veins. The first things we think about when we rise in the morning, and the last thing before we shut our eyes at night. The anticipation, the stoke, the fear. They all transcend into making us who we are. And they’re out there. Everywhere. 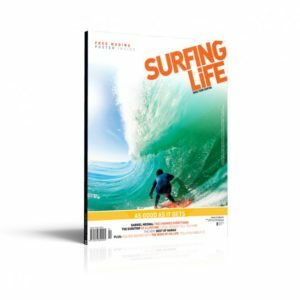 There are still thousands of epic sessions going down each year where you can be alone in perfect uncrowded waves. 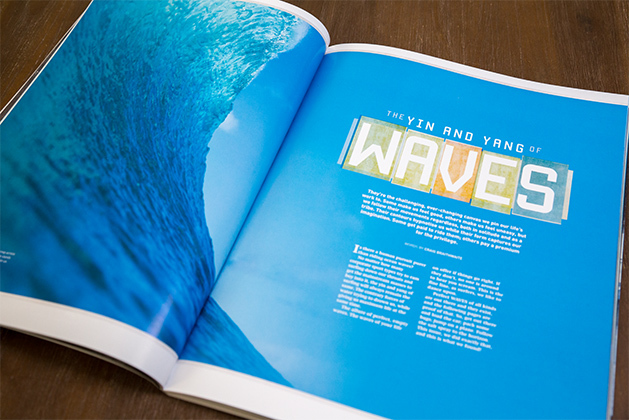 This issue taps into the romance of WAVES. 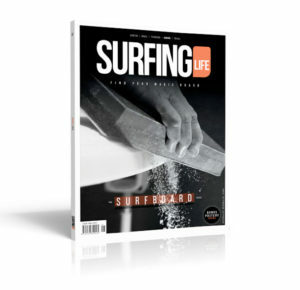 This Issue we will show you how to find them, surf them and survive them. The Yin and Yang of Waves – The contrary forces of water trying to drown us, while giving us maximum life at the same time. Wind Blown – Wind is both creator and destroyer, friend and foe. Find out why. When it Rains it Pours – The ancient mariners knew all this before us, and sailing lore speaks of how the rain tends to calm the sea. 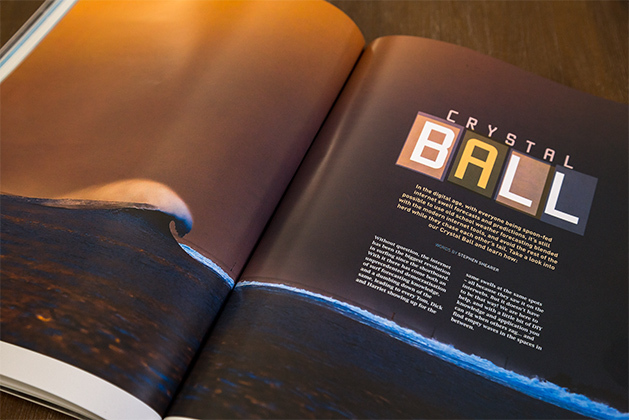 The Crystal Ball – The internet age has bought with it hordes of forecasting sites. 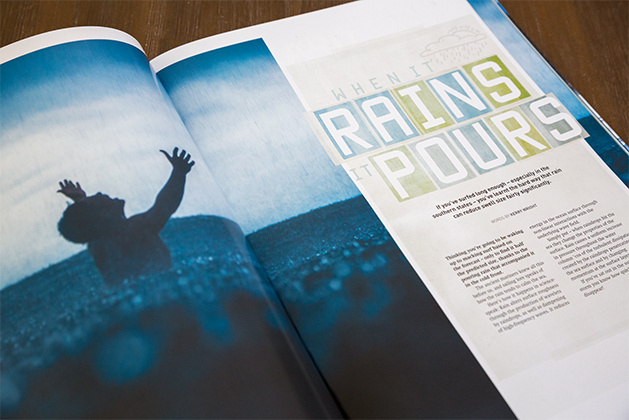 We show you how to read the weather yourself, so you can avoid the herd and score your own bliss. Nigeria – Lagos might be the last place you expect to find us searching for waves. But here we were. Dodging real bullets, but not barrels. 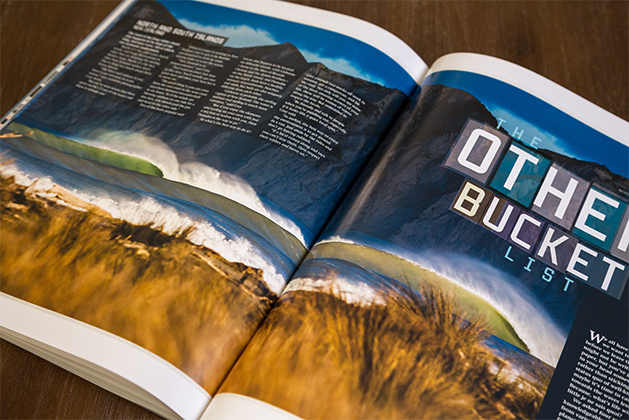 The Pipeline Scrapbook – Jeff Divine has been on the North Shore for 35 winters. 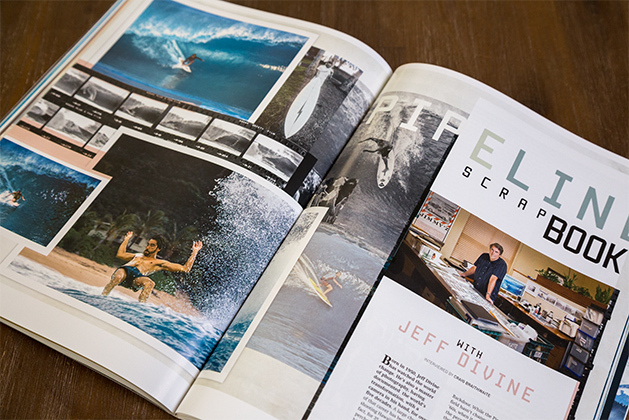 There’s no one better to show us through their archives as we look at the most emblematic wave in surfing. 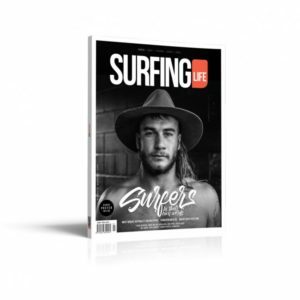 The Primitive Union – The invention of the leggie substantially dulled the edge of the water skills possessed by the vast majority of modern surfers. Why have we forsaken the humble bodysurf as a legit surfing option? 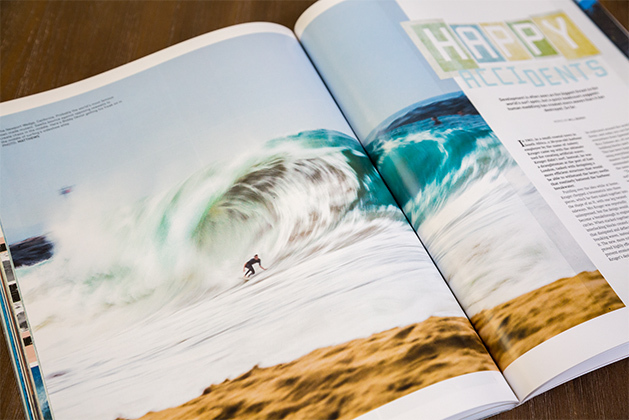 Happy Accidents – Man has actually made more waves, than its destroyed. Let’s take a look at some of the Happy man-made Accidents! 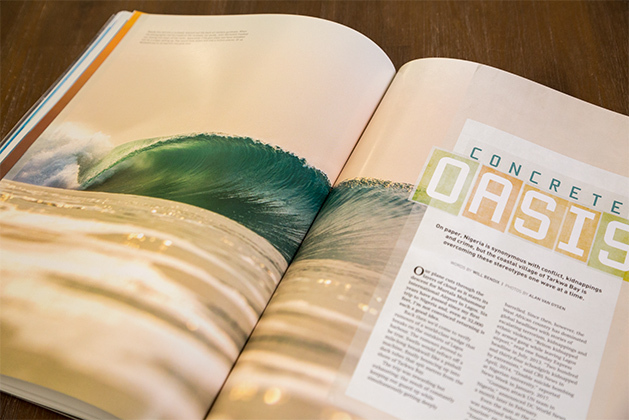 Wave Oddities – One’s a step, one’s a closeout and the other a grower. But why? 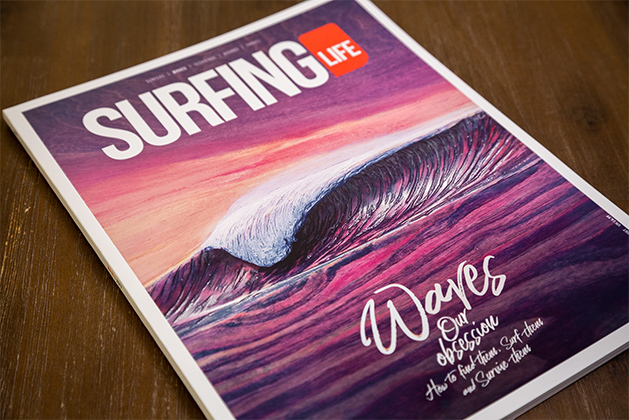 Surfing Life investigates. The Other Bucket List – No not the obvious bucket list. This is a list of out of the way destinations and waves that might not even know exist, but you simply must surf before you cark it. 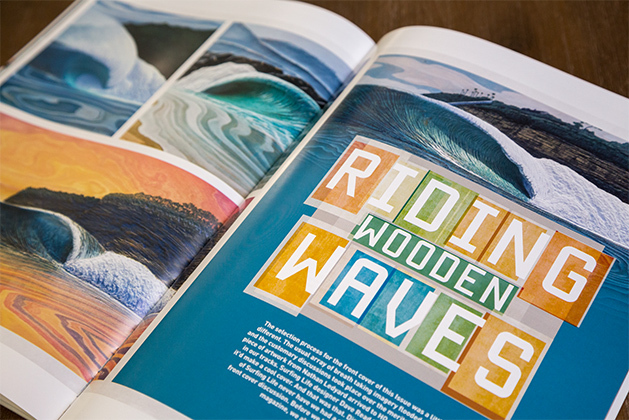 Wooden Waves – From Nathan Ledyard, the artist who created our magnificent front cover. They are wood carvings with acrylic paints, and they are to die for! 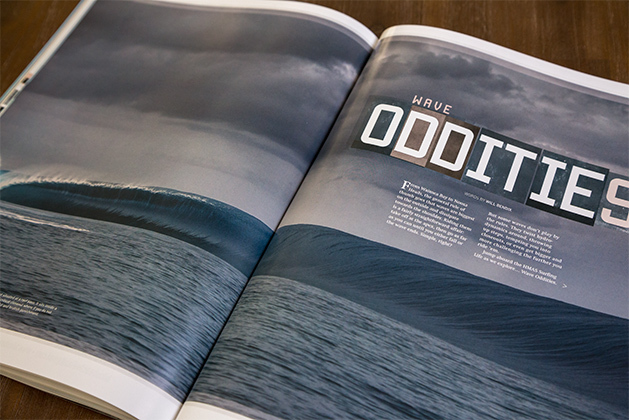 WAVES Issue. On sale 10th August, or while stocks last, so get cracking!